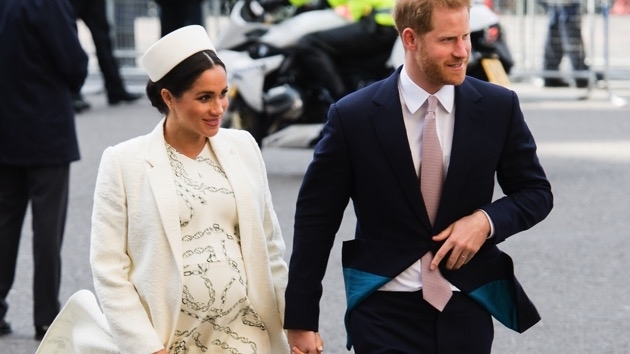 As first-time parents-to-be, the Duke and Duchess of Sussex have plenty to worry about already — but thanks to the US tax system, there could be one more thing keeping Harry and Meghan and their new baby awake at night. Since the royal couple announced their pregnancy last October, all eyes have been on Meghan and her emerging bump — and it seems even the palace accountants are taking interest. That’s because as a US citizen, both Meghan and her baby — who will be seventh in line to the British throne — will be liable to pay US taxes, which could potentially open up the notoriously private royal accounts to the Internal Revenue Service (IRS). As a US citizen, regardless of where she lives, Meghan will be obliged to file a US tax return and to report any foreign accounts, assets over $200,000 and gifts valued more than $15,797 “regardless of whether it is actually in your possession,” according to the US Internal Revenue Service (IRS). Meghan may have to declare items like the wedding ring gifted by the Queen from a nugget of Welsh gold from the Royal Collection, the priceless diamond in her engagement ring taken from Princess Diana’s world famous jewelry collection, wedding presents from international royalty and A-list friends. Then there’s the biggest gift of all — the multi-million-dollar newly renovated home, Frogmore Cottage, in Windsor where the couple got married. “The Queen has got to sit there and her advisers have to sit there thinking: well if I lend Meghan a tiara, if I have the baby use a beautiful silver rattle that was used by Queen Victoria, how much is that worth? What’s the value of it? How much is to be reported to the States? It’s a tough question, it’s not easy,” Treitel said. Not only will Meghan have to declare gifts but if she considers selling any of them, she would be taxed on any rise in their value — and with her name attached to them, the jump in value is likely to be great. The only way for Meghan to avoid paying US taxes would be to renounce her US citizenship once she becomes a British citizen. However, even if she does so, the couple’s baby will still be liable for US taxes until the age of 18. That means that throughout the child’s life, he or she will also have their assets and income exposed to US taxes — including any “unearned income” over $2,100 — until they are 18 years old, and have the opportunity to renounce their citizenship, if they choose to do so. “One would expect because the Queen comes from a wealthy family, Diana came from a wealthy family, we would expect that they’ve put aside some investments for future generations, presumably to future unnamed children and grandchildren and so on,” Treitel explained. The minefield of the US tax system means Harry and Meghan’s baby will likely create a lot of paperwork for the Royal Family’s accountants.